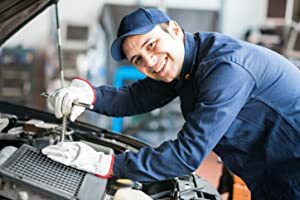 REPLACEMENT AC BLOWER MOTOR WITH FAN – is responsible for producing air that goes through the vents of your vehicle’s AC and heating system. 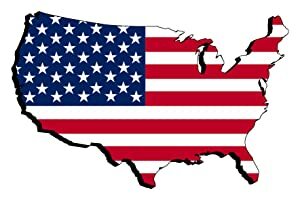 If your AC or Heater does not produce or circulate any heated or cooled air then you may have a problem with your blower motor. 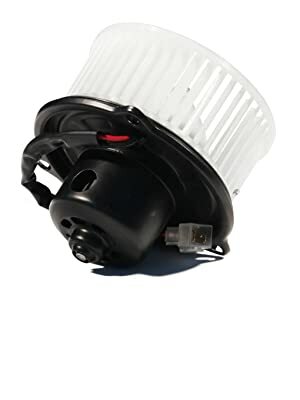 FITS THE FOLLOWING VEHICLES – 1994 – 2002 Dodge Ram 1500 | 1994 – 2002 Dodge Ram 2500 | 1994 – 2002 Dodge Ram 3500 | 1993 – 1998 Jeep Grand Cherokee | This replacement blower motor by AA Ignition comes with the fan so you can get your Heater or AC System up and running again. Most commonly located under the dash on the passenger side of your Dodge Ram 1500, 2500, 3500 or your Jeep Grand Cherokee. REPLACES PART# 4778417, 5015866AA , 4720006, 4720009 PM3905, 15-80116, 37372, 44-1079, Evap, inc. 5488, 35372, 757888, 3010104, PM3788, Vista Pro 5488, Visteon 100303 – The blower motor can be installed easily with no special tools required and just by removing a few screws under the passenger side dash of your vehicle. Simply remove the old blower motor and put the new one in. It is also a advisable to replace your blower motor relay/resistor with a new one when you replace your blower motor. OEM FIT, QUALITY, FINISH – This blower motor will get your AC/Heater system up and running again in no time. While this is not a genuine Dodge, Jeep or Mopar part, it is a direct replacement and you can save hundreds of dollars off of dealer prices by purchasing this part and replacing it yourself. 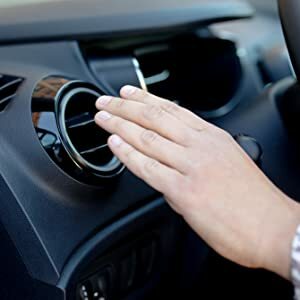 The AC Blower Motor is responsible for producing air that goes through the vents of your vehicle’s AC and heating system. If your AC or Heater does not produce or circulate any heated or cooled air then you may have a problem with your blower motor. This replacement blower motor by AA Ignition comes with the fan so you can get your Heater or AC System up and running again. Most commonly located under the dash on the passenger side of your vehicle. The blower motor can be installed easily with no special tools required and just by removing a few screws under the passenger side dash of your vehicle. Simply remove the old blower motor and put the new one in. It is also a advisable to replace your blower control relay/ motor resistor with a new one when you replace your blower motor. Don’t Get Stuck Without Air Conditioning or Heat in Your Truck! No air or only a slight breeze coming from your vents? If you’re experiencing no air or only a slight amount of air from your truck’s vents your factory motor has likely failed. The blower motor consists of a motor and a fan and produces air, just like a ceiling fan in your house. 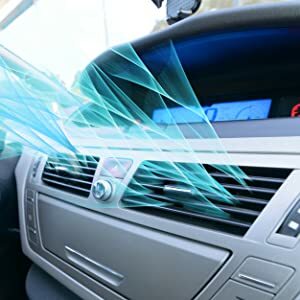 If the motor fails or if the fan blades get damaged the result is decreased or no air coming from your AC vents. Turning up your AC/Heat and getting the same amount of air? When you turn up the AC/heat in your truck and see no change in the amount of air coming from the vents you likely need to replace your factory blower motor. 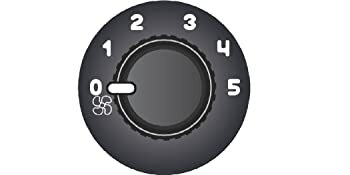 The blower motor is designed to produce more air as you turn up the knob on your AC system. However, when the blower motor fails the motor is no longer able to blow on high. 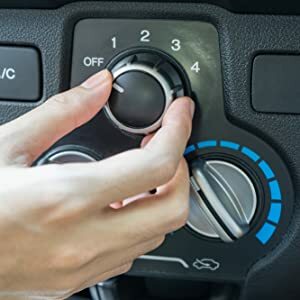 Restore your AC/Heat and get back to driving in comfort! Once you have changed the factory blower motor that has failed on your truck you’ll be able to control your AC/heat again. Get back to driving in comfort by being able to control how much air is coming out of the vents in your truck. All of our blower motors undergo strict quality control not just before shipping but throughout the production process. 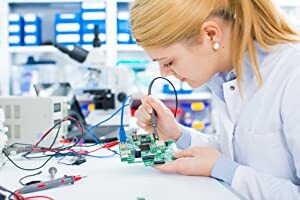 During each step of production multiple quality control checks are performed to insure each and every part lasts for years to come. 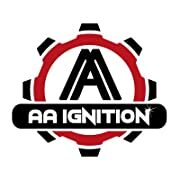 This is a compatible replacement part manufactured by AA Ignition. This Blower Motor is NOT a genuine Dodge, Chrysler, Jeep, TYC, VDO, Four Seasons or ACDelco part. Brand names and their associated vehicle models and part numbers are used in this listing only to identify the vehicles this Blower Motor fits.